The Coalition Avenir Québec is ahead in the polls and probably would win a majority government if an election were held today, but can they hold on for another eight months? 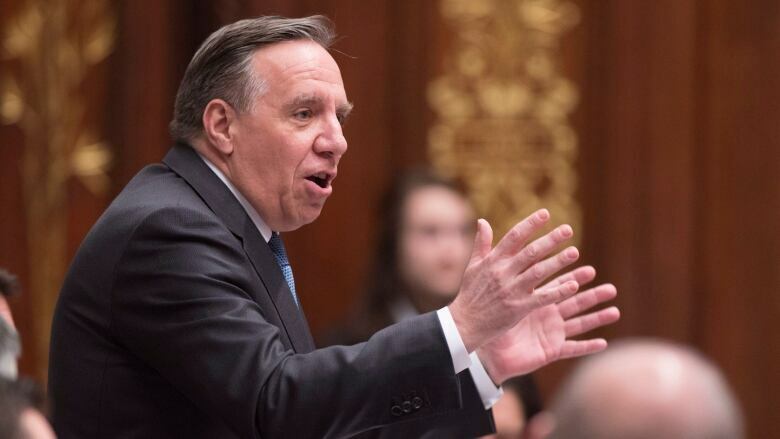 With Quebec's provincial election still many months away, polls suggest that François Legault's Coalition Avenir Québec is in the driver's seat. If an election were held today, the party probably would win a majority and oust Liberal Philippe Couillard from the premier's office. But the election is set for Oct. 1. Will the CAQ be able to maintain its momentum over the last sitting of the National Assembly and through to an election campaign that kicks off more than six months from now? Two recent polls indicate that the CAQ begins this election year in a strong position. The surveys, conducted by Léger for Le Devoir at the end of January and by Ipsos for La Presse between Feb. 2-4, pegged the CAQ's support at between 34 and 39 per cent. The Liberals trailed in second place, with between 28 and 30 per cent support — numbers that historically represent the party's floor. The Parti Québécois, under its beleaguered leader Jean-François Lisée, registered between 20 and 23 per cent support in the two surveys, while Québec Solidaire came in at eight to nine per cent support. These numbers likely would deliver the CAQ a majority government. Projections using the methodology employed by the CBC's federal Poll Tracker give the party between 53 and 78 seats — straddling the 63 seats needed to form a majority. The trend lines are heading in the right direction for the CAQ. Compared to the scene when Léger and Ipsos both were last in the field in October, the CAQ has gained between five and six points. The party's support has climbed consistently over the last year or so, and Legault now beats Couillard as the preferred premier by a margin of about two-to-one. He beats Lisée by a margin of three-to-one. But the CAQ and its predecessor, the Action Démocratique du Québec, have been in this position before. When Legault launched his new political party at the end of 2011 — and in short order swallowed up the remnants of the ADQ, then under the leadership of current Conservative MP Gérard Deltell — the CAQ topped the polls. The party was scoring as high as 37 to 39 per cent in December 2011. But in the September 2012 provincial election, the CAQ finished third, with just 19 seats. It wasn't the first time that Quebecers had flirted with a nationalist, centre-right option in polls, only to spurn it at the ballot box. 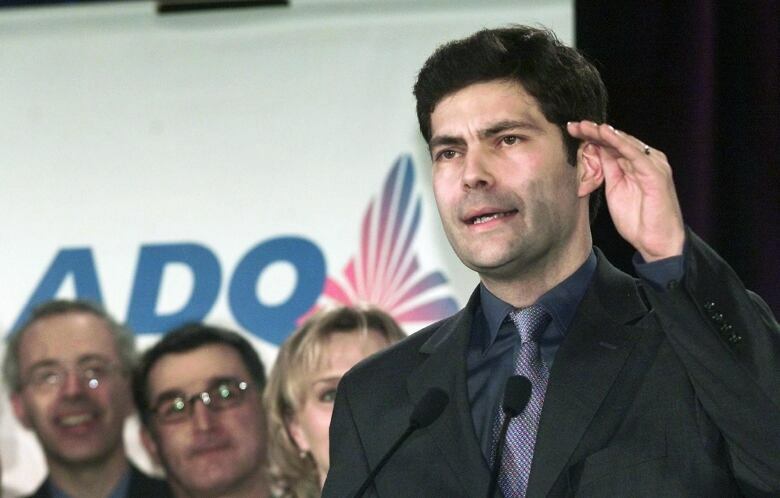 In September and October 2002, the ADQ under Mario Dumont was leading in the polls. The ADQ won just four seats in the 2003 provincial election six months later. After storming to 41 seats and official opposition status in 2007, the ADQ led in the first post-election polls. But in the subsequent election in 2008, the ADQ was back in third place and was reduced to seven seats. The CAQ is starting with a stronger base; it won 22 seats in 2014 and has held its support well above 20 per cent over the last two years. But the spectre of a similar collapse undoubtedly haunts Legault now, with another election looming. 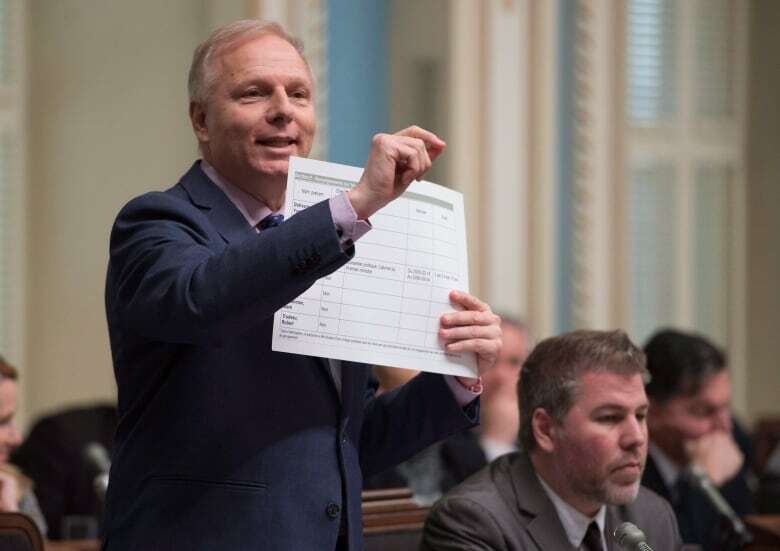 Lisée and the Parti Québécois face what could be a historic collapse in October. The PQ is polling now at a level of support that would deliver the worst electoral performance in the party's history. With its current level of support the PQ would risk being reduced to just a handful of seats if the election were held today — possibly fewer than it needs to be recognized as an official party in the National Assembly. But the PQ's slide may have bottomed out. After sinking over the past year, the party has polled at between 19 and 20 per cent in three consecutive Léger polls. If that's a silver lining for Lisée, it's a thin one. The apparent fading of Québec Solidaire's support might offer better news for the struggling PQ leader. When Gabriel Nadeau-Dubois joined the party last year and, along with Manon Massé, became one of its co-spokespeople, QS's support jumped into the mid-teens. But the party has dropped three points since October in Léger's polling, and four points over that time according to Ipsos. At eight to nine per cent, the party is barely more popular than it was when it took 7.6 per cent of the vote in 2014. Where does all this leave the Liberals? A weak PQ traditionally has been good news for them, but the PQ has lost so much support to the CAQ that Couillard might be rooting for Lisée to turn things around — at least a little. The Liberals still retain some significant advantages. Their support among non-francophones remains high, between 61 and 74 per cent. The CAQ has eaten into that vote, but not enough to put any of the Liberals' majority anglophone seats in danger. 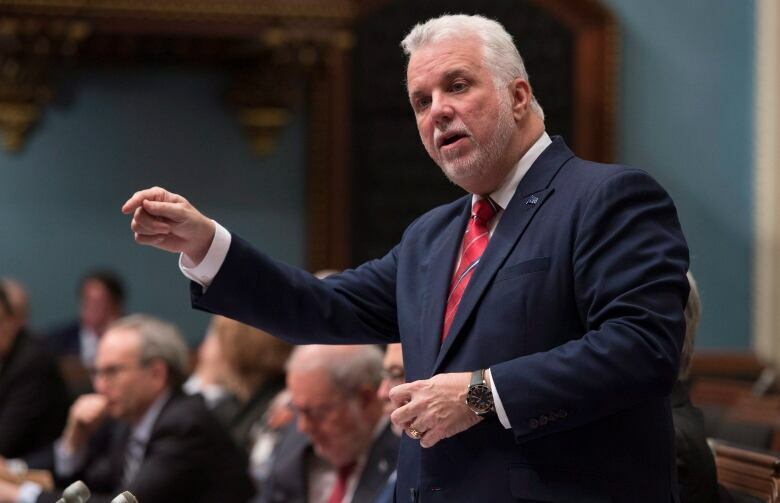 The francophone split between the CAQ, PQ and QS on the island of Montreal actually might make it easier for the Liberals to hold their non-anglophone Montreal seats as well. Satisfaction with the government is low, but the Liberals have a strong economy at their backs. The PQ is shattered and the CAQ is inexperienced, with a track record of blowing leads in the polls. Couillard is still very much a contender. But politics in Quebec can change very quickly. For Legault, October can't come soon enough.